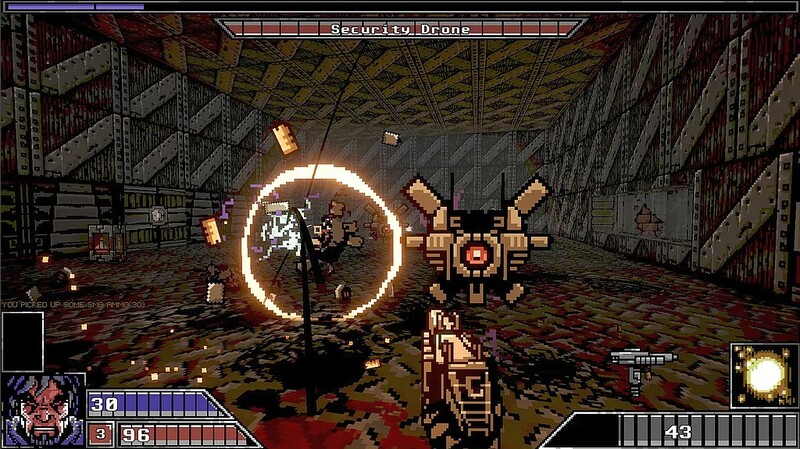 Fans of old-school first-person shooters like Doom, Wolfenstein, or Duke Nukem can enjoy the brand-new Project Warlock, a game that features 60 levels, 5 worlds, 72 enemy types, 38 upgradeable weapons, 8 unlockable spells, as well as perk-based character development. Priced at US$12, Project Warlock is a GOG exclusive title. Although many indie games are cheap pieces of code that only appeal to a limited audience, Project Warlock is one of those gems that every fan of first-person shooters must give a chance. The only things that might keep someone away from this title are its availability — limited to GOG and Windows users — and the lack of modern graphics, because some people will not be able to get over Project Warlock's three-decade-old looks. Although it was a Steam Greenlight title for a while, Project Warlock is available exclusively via GOG. The game was officially launched yesterday and works with all Windows versions that still matter, namely 7, 8, and 10. Those interested can acquire it for US$12 (or the equivalent in your local currency). Project Warlock currently holds a rating of 4.2 out of 5 stars on GOG and most early reviews are highly positive. At last, the system requirement should be nothing out of this world, although they are a bit high considering the game's looks: Intel Core i3-3220, 4 GB RAM, and GeForce GTX 560 (minimum) or Intel Core i5-2400, 8 GB RAM, GeForce GTX 1050 (recommended).